Cairns Regional Art Gallery. Cairns Homeschool Group Outing. 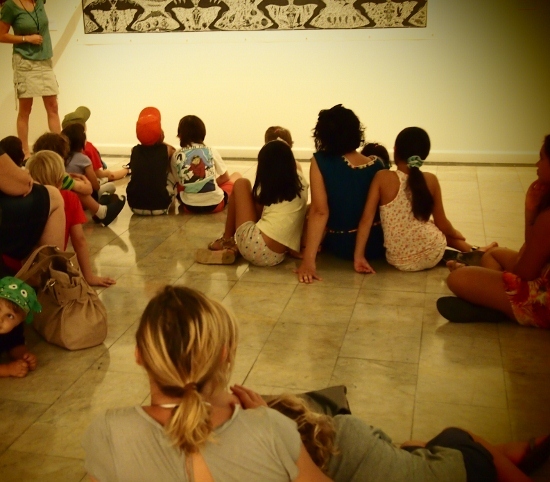 The Cairns Homeschool Group enjoyed a guided tour of some of the exhibits at Cairns Regional Art Gallery last week. We had one of our best turn outs of the year, obviously art is popular with parents and children. Admission for a tour is $5/child, adults are free, the admission fee included a hands on art activity at the end of the tour. We tried out the wax resist painting technique. Our tour focused on the Relative Humidity Exhibit, a series of paintings from artists in tropical Queensland and The Torres Straights Islands relating to our rather interesting weather. Clouds, cyclones and torrential rain were reflected in the artworks using a variety of innovative techniques and styles. 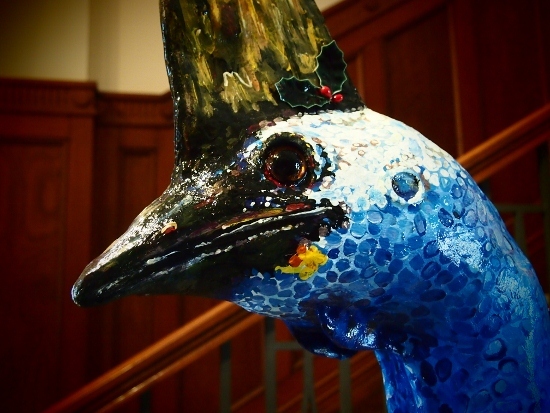 Photography of the art exhibits was understandably not allowed, but I was given the green light to take a picture of this rather splendid cassowary puppet standing in the entrance hall. Hayley Gillespie’s Exhibit, Little By Little Through Wonderland was a hit with the children. 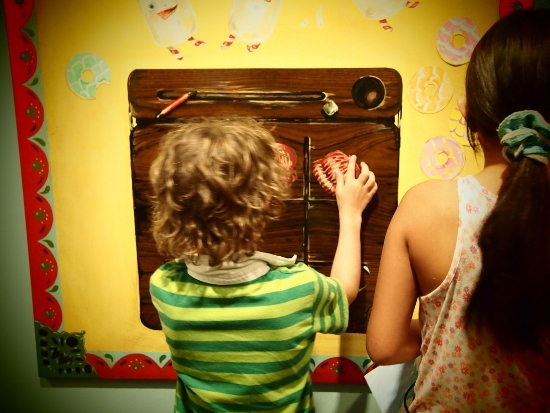 Interactive play based exhibits allowed the children to get touchy feely with the art. 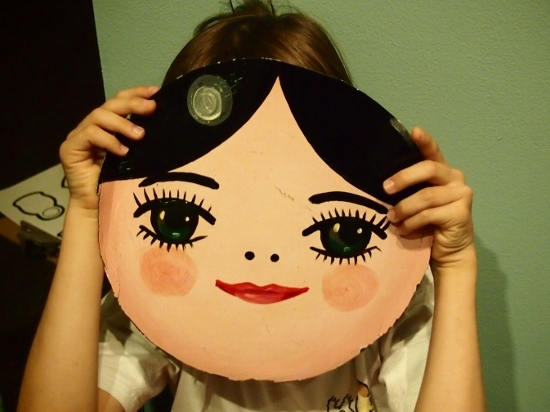 Our wax resist artworks were based on the matryoshka dolls we saw featured in Hayley Gellespie’s work. 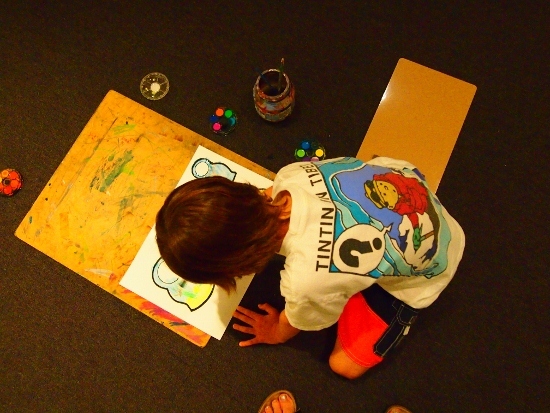 The Cairns Regional Art Gallery changes it’s exhibits regularly, our homeschool group hopes to return soon for another exhibit tour and to try a new hands-on art technique.